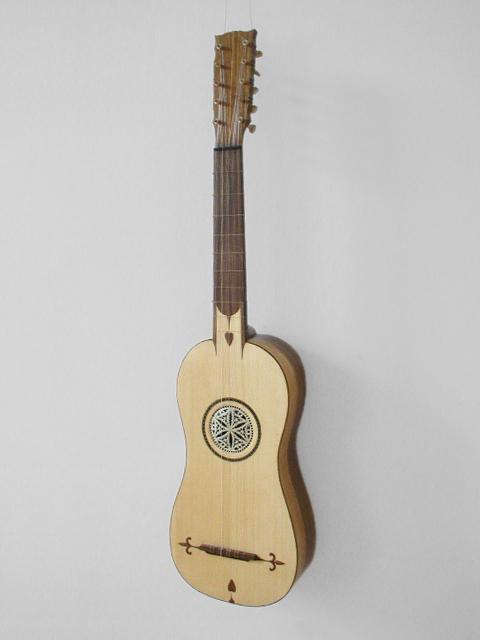 Based on a surviving anonymous instrument found in Mallorca, now in a private collection. With a flat back. 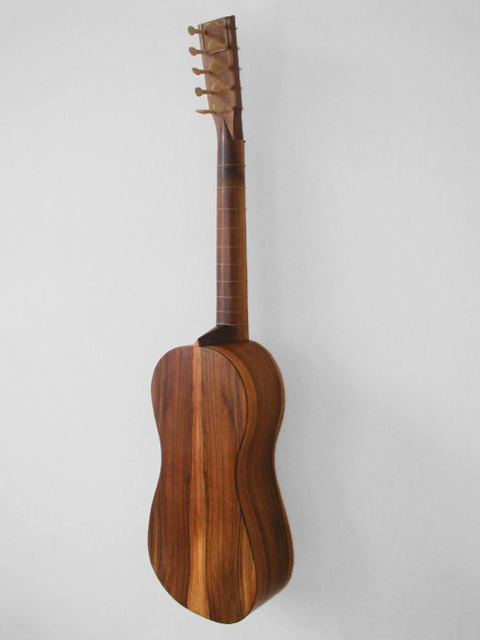 Made in walnut, spruce soundboard. 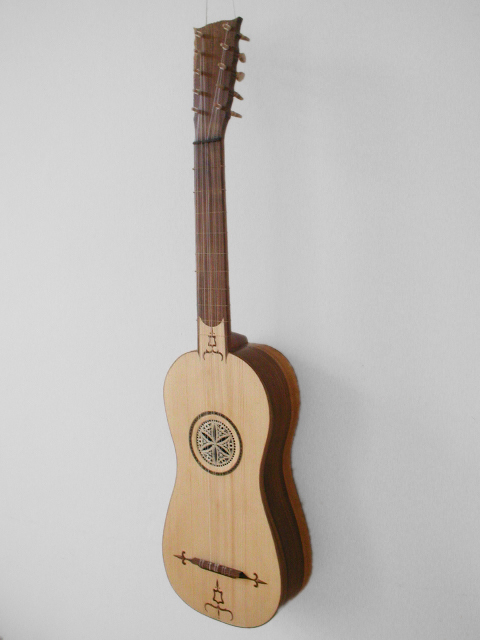 Stringlength of around 64-66 cm. Available with a choice of decorations, all authentic. Parchement rose and ebony pegs. This is my most demanded instrument.